Priced at £29.99, I'd admired them as far back as March but felt they were a bit pricy (they're 39.99 euro!!) With 25% off though, they seemed about right and having admired Chrissabella in hers for a few weeks, I decided to get them. 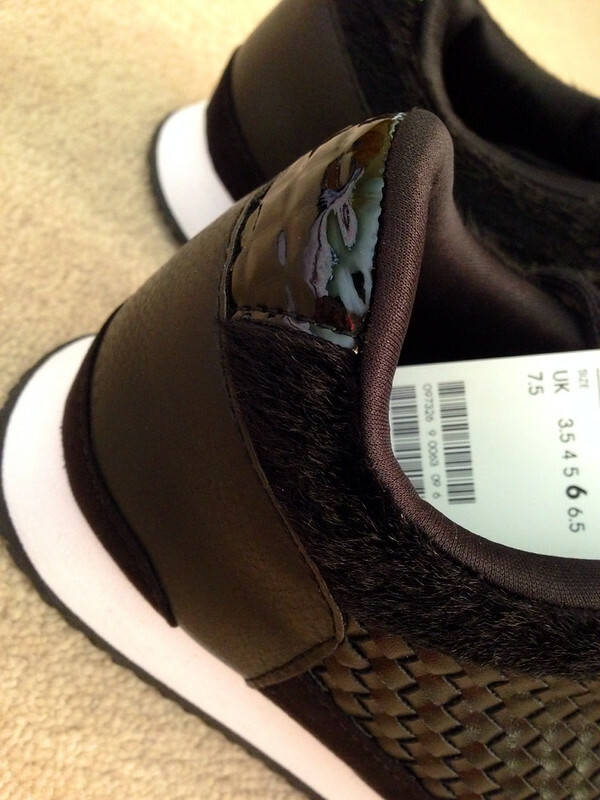 I really like the detail on them - the lattice on the upper, the patent on the heel and the pony skin around the ankle. And I have worn them loads. The fact that they are black makes them so wearable and a bit dressier than coloured trainers. 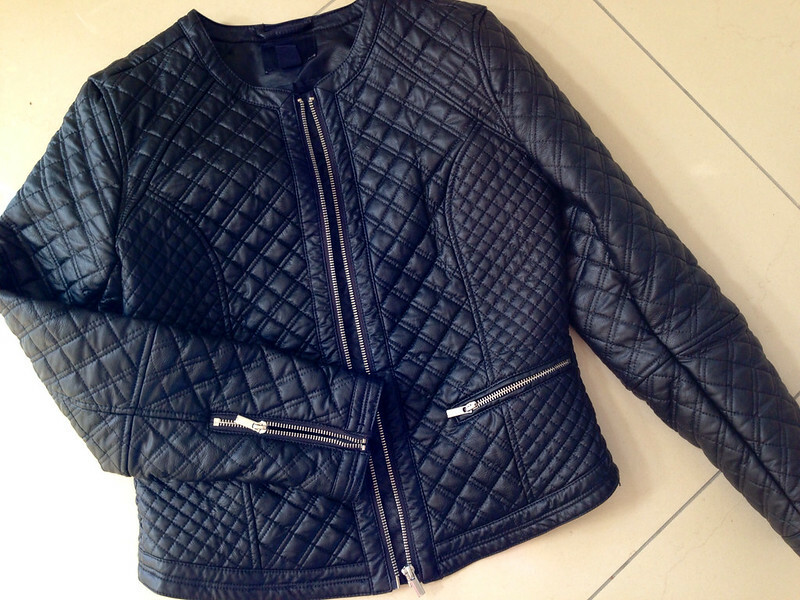 The second item I got was this quilted detail faux leather jacket. It was an unplanned purchase. I had a vague idea about getting a casual black jacket to wear over my jumpsuit at Fashion Week but had no plans to get a pleather one. I tried it on not expecting much but I immediately loved it. The fit, the quilted detail and the quality of the faux leather. I believe it's similar to one Zara had a similar one last year. Both items have worked hard since I got them. I'm loving how well the jacket has fitted into my day wardrobe - previous black jackets have felt a bit formal for the school run. And the trainers have been a surprise hit too-I am finding them so easy to throw on without dressing down my outfits too much. 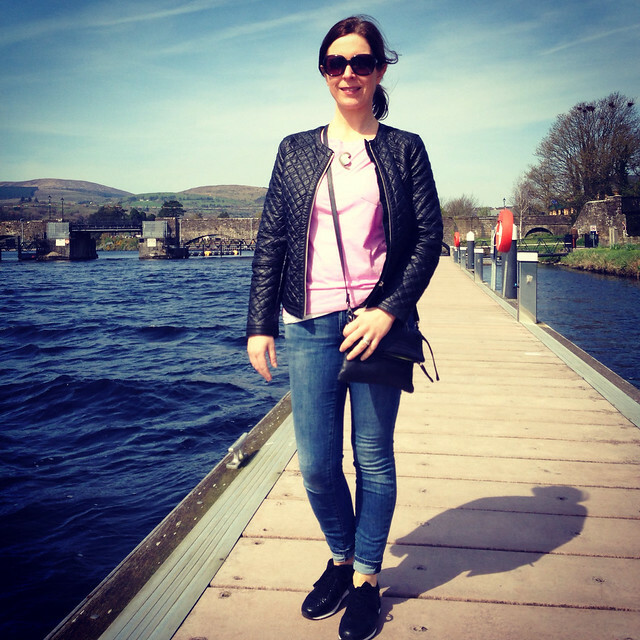 Finishing with an outfit from my trip to Tipperary this week...taken down by the River Shannon and rather appropriately featuring both of these H&M gems! With a major 'don't fall into the water' face as the 5 year old took them during a walk along the jetty! Hope the Easter holidays are going well. Back tomorrow with a competition! And you who shunned all notion of trainers !! We 'll have you in skater shoes before you know it ! I LOVE the pony skin around the back - what a fab feature to the trainer! 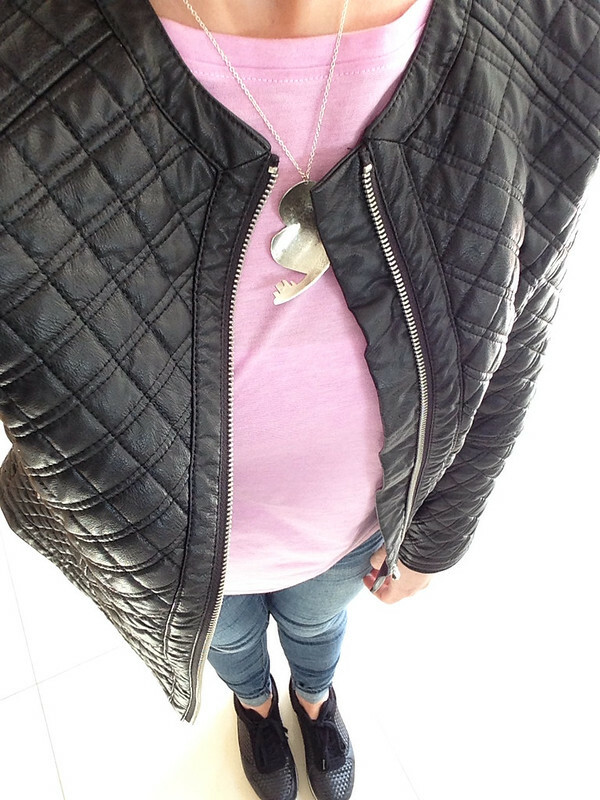 So glad you got the H&M trainers and love this quilted jacket! Happy Ester!